The GaNdalf reference design board takes advantage of the low output capacitance and zero reverse recovery of the latest X-Gan HEMT power switches from Panasonic, which are fabricated from wide bandgap GaN semiconductor material. Operating from a universal mains input range of 85V-265V AC, the GaNdalf board achieves a power factor of >0.98 and efficiency in the PFC stage of better than 99.0%. 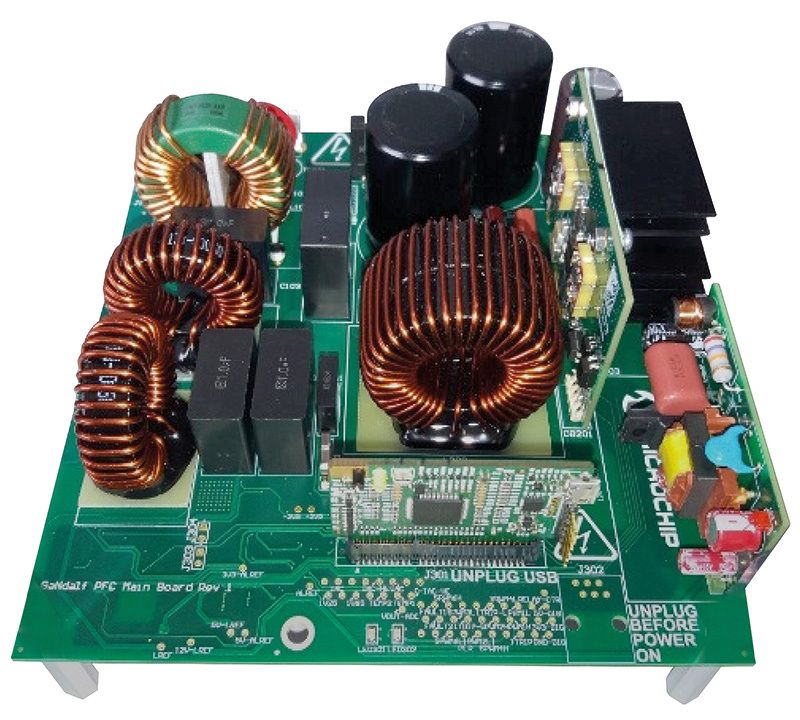 Power Factor Correction (PFC) is widely used in AC-DC power supplies with an input power greater than 75W. The PFC circuit controls the input current to synchronise it with the input voltage and to minimise reactive power losses. Power-system designers are under more pressure than ever to achieve high efficiency across the whole AC-DC converter circuit. In the PFC stage, the drive for efficiency has led designers to evaluate various bridgeless PFC circuit topologies, which remove the rectifying diode bridge and its associated power losses from the input of the PFC stage. Providing an output voltage of up to 400V DC, the GaNdalf board may be used to supply loads up to 1kW. Total harmonic distortion is <10%.